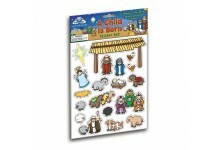 Two sheets of lovely stickers showing the Christmas story - perfect for art projects, prizes, or gifts. 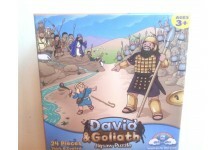 Ages: 3+ ..
With simple yet detailed art, this puzzle is a great way to introduce children to the story of David and Goliath. 24 pieces. Age range: 3 and up ..
A variation on the classic children’s game, this is a great way for children to explore the symbols and imagery of Christmas. With the cards face down, children turn over two – if they match, they keep the pair. If not, they turn the cards face down and try again. 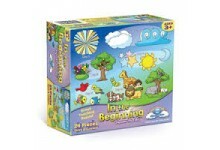 Older child..
A sturdy 24-piece puzzle showing the Creation story in beautiful detail. Perfect for RE lessons, Sunday Schools, Nurseries, and home. 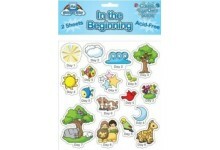 Ages: 3+ ..
Two sheets of lovely stickers showing the Creation story - perfect for prizes or art projects. Printed on acid-free paper. 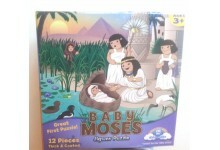 Ages: 3+ ..
With simple yet detailed art, this puzzle is a great way to introduce children to the story of Moses in the bulrushes. 12 pieces. Age range: 3 and up ..